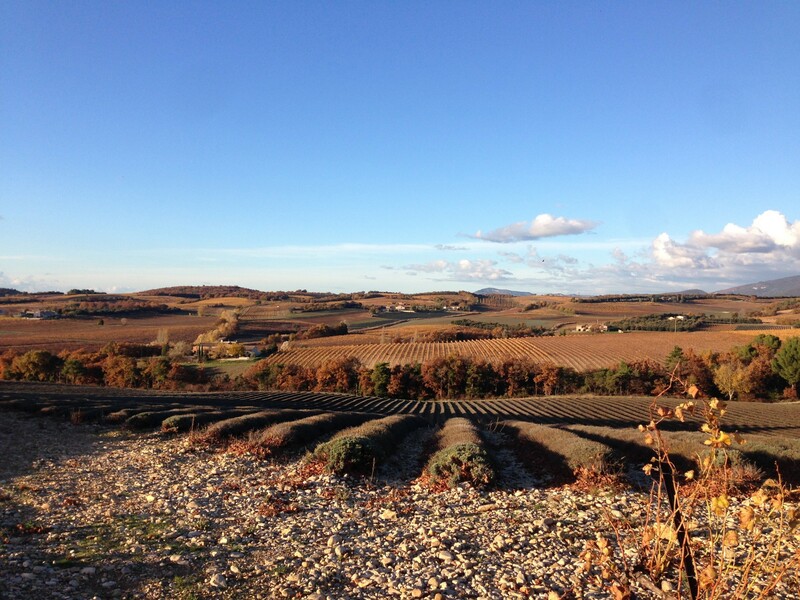 It’s pretty hard to illustrate malolactic fermentation with a photo, so instead here is a photo of the beautiful late autumn sunshine on the plateau, with Domaine L’Ancienne Ecole on the far left of shot. Sunshine is something which has been in pretty short supply this last week, with over 130mm of rain in the week. The rain is much needed after the dry summer and we are much happier to see it now than in harvest season! Meanwhile, oblivious to the weather outside trillions of oenococcus oeni are quietly and undramatically getting on with their important work in the winery. All of our red wines do a malolactic fermentation (or “malo” as the French say) during which these bacteria transform the malic acid (think Granny Smith apples) into lactic acid (think milk). The effect of this is to give the wines a smoother, softer, rounder mouthfeel. Most whites and rosés (including our Carpe Diem rosé) don’t do a malo, because we want to maintain the sharp acidity given by the malic acid, but most reds benefit from a malo. The process is relatively slow, and other than a slight spritz from the CO2 produced is largely undetectable. We monitor the progress of the malos by sending samples to the lab periodically to measure the quantities of malic and lactic acids in the wines. As the bacteria prefer warm wine to work in sometimes, particularly with a late harvest like this year, they can be a bit reluctant to get going, but we are reasonably relaxed about this and if the malos don’t happen in the autumn they usually start spontaneously in the spring as the weather warms up. At the moment one of our tanks has finished its malo and another two are in progress. Generally once the process starts all the tanks follow suit, so probably most of the tanks will have finished their malo by the end of the year. Then we can start to think about blending for our Terra Firma 2016!